Can I cancel a request to join a Tribe? Need to free up an Open Tribe Request slot? Here's how to cancel your request to join a Tribe. When you apply to join a Tribe it may take a while to get an answer. Since Tribes are run by independent Tailwind members, we can’t say why or why not you may or may not have been accepted to join because membership approval is at the Tribe owner and admin’s discretion. 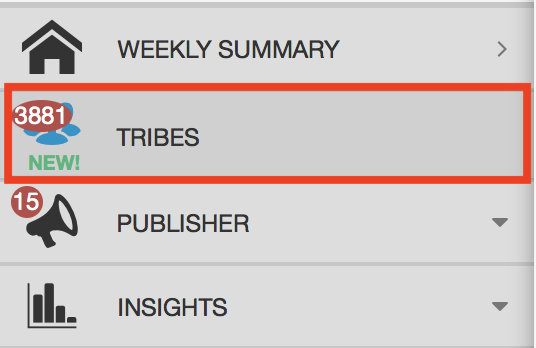 However, we do our best to encourage Tribe admins to quickly process membership requests. 2. Click Find a Tribe on the top navigation on the page. 3. Click the tab that says Open Tribe Requests in the center of the page. 4. Here you will see a list of Tribes that you have requested to join. Select the one that you would like to cancel and click the Cancel Request button. 5. Confirm that you want to cancel by clicking Cancel Request in the pop up window. You will now have one free Open Tribe Request slot so you can request to join another tribe! Remember that all Tribes are managed by Tailwind members, just like you. They may be slow to accept new members, so a little patience can be very helpful! 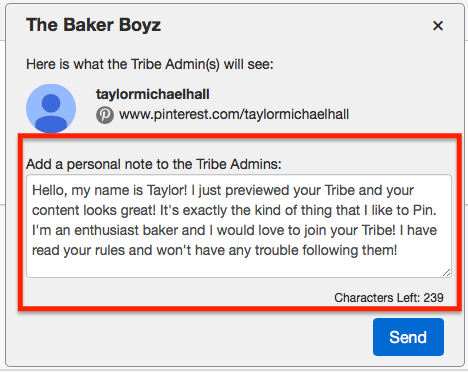 When applying to a tribe you can make sure you’re putting your best foot forward and are giving the admins all of the information they may require when writing your note requesting to join. We suggest explaining why you’re interested, what kind of content you have to share with the Tribe which is relevant to its niche, and of course, being friendly doesn’t hurt! Want to preview your next Tribe before you apply to join? Check out our Knowledge Base article: Can I preview a Tribe before I join it?